So, Miss Libbey slept much better last night! Thank goodness! This mamma needed some sleep! I had a friend recommend sweet oils with olive and coconut oils! She told me to rub them on her chest and feet. I did this last night before I put Libbey to bed and she slept so much better and seems much less congested! Sweater: Forever 21(old), this one is cute! 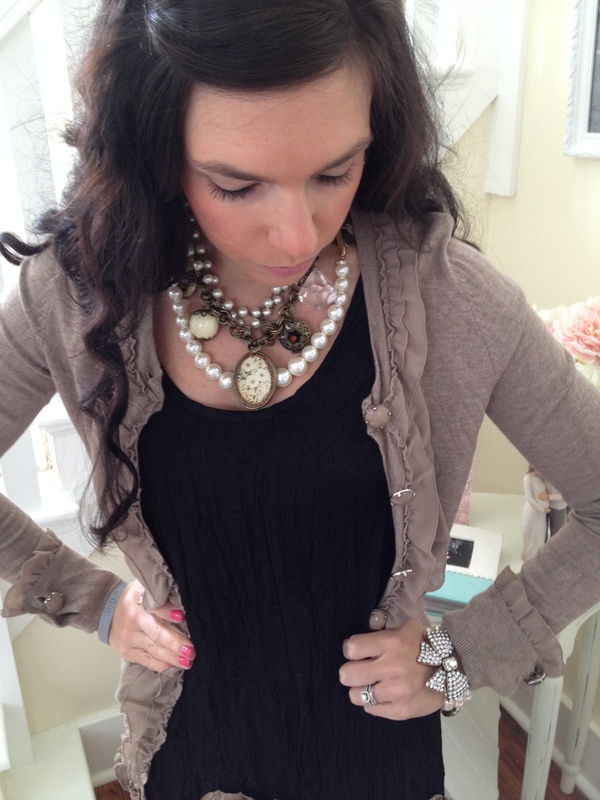 Necklace: Sam Moon, like this one! I wear neutral colors almost everyday. I don’t know why, but I am drawn to them! 3/4th of my closet is black and some sort of off white! 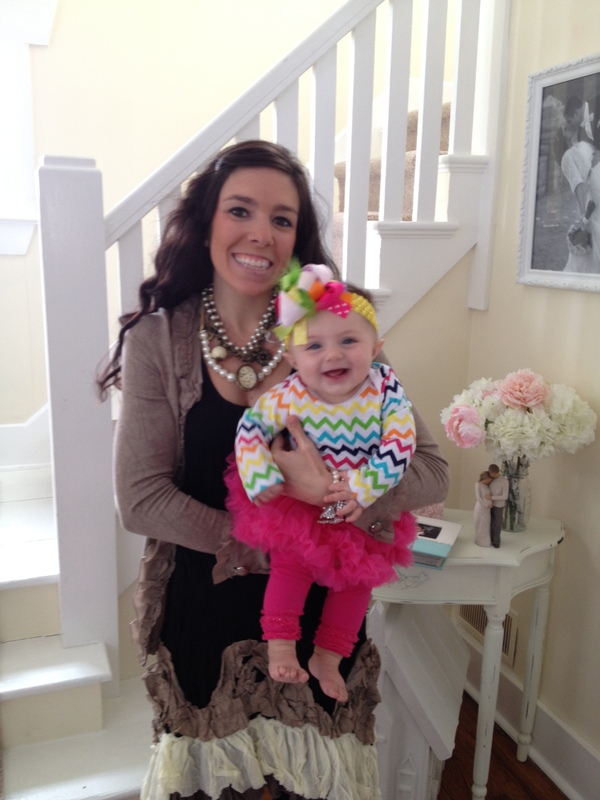 Miss Libbey’s outfit is from Zulily! I seriously am on the website everyday! It is a little out of control!